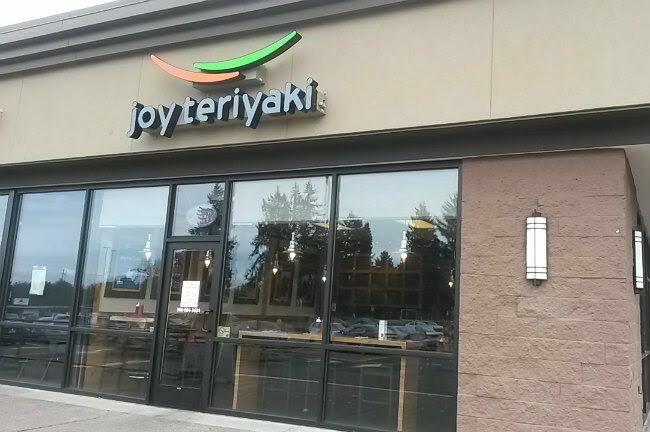 Joy Teriyaki is located in the strip mall at the corner of NE 99th Street and Hazel Dell in Vancouver, Washington.This place opened up over the summer. Lunch specials run every day from 10:30 to 2:30. 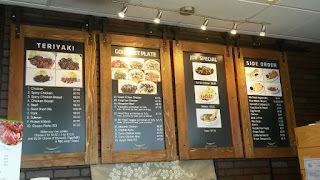 Four items on that menu. 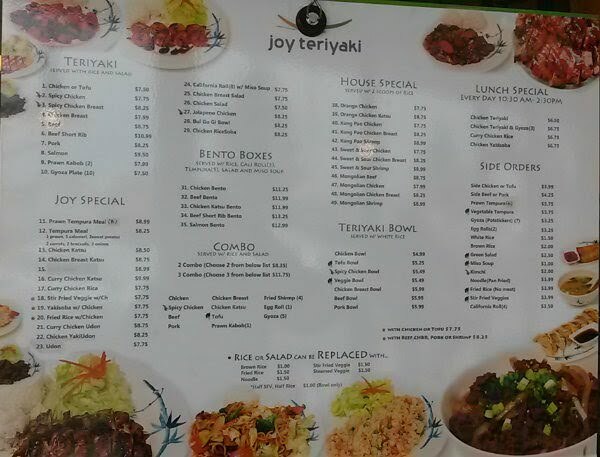 The regular menu is much more expansive. Teriyaki chicken is one of the fallback options when I don't feel like making anything at home. Getting a teriyaki chicken plate with three gyoza runs you $6.75. You can substitute brown rice for $1 more. You'll get a large helping of chicken, either 2-3 large pieces cut into strips. 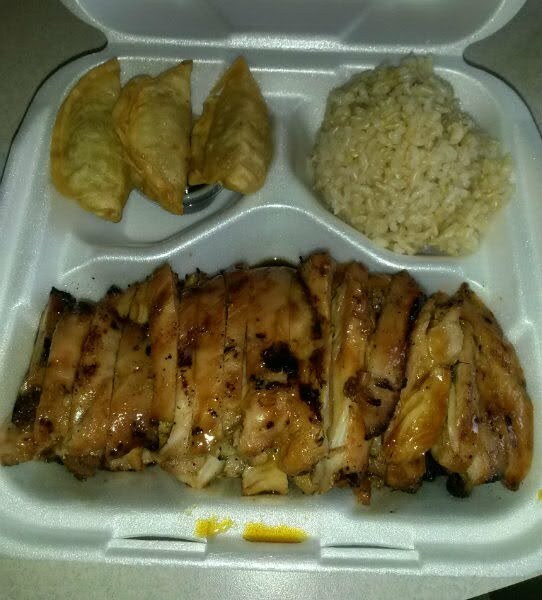 Very good teriyaki sauce which is mainly on the bottom; the chicken on top has little to no sauce. That being said, you can probably ask for more sauce on the side. 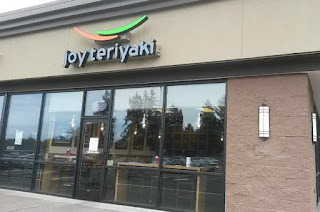 Good gyoza, nothing that really stood out there. 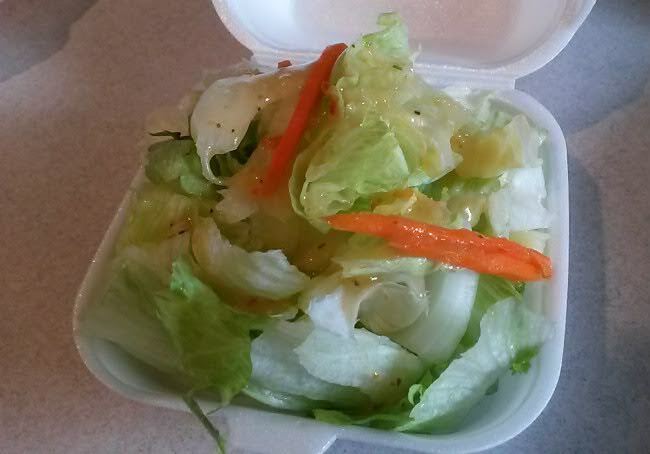 The meal came with a salad, which I wolfed down pretty quickly.